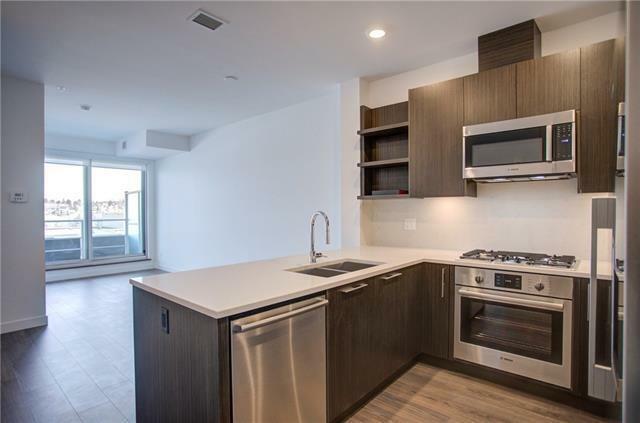 Welcome to one of the best one bedroom units in Radius with unobstructed 6th floor views! 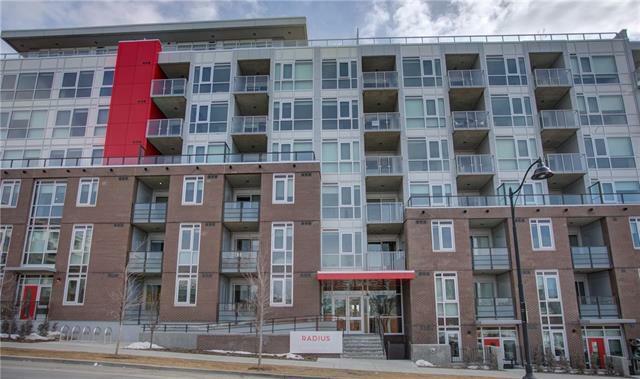 Bucci's newest building in the heart of Bridgeland has it all; 2 gyms, yoga room, spin room, SPUD room, dog wash parlour, ski/bike repair centre, bike parking, underground heated parking, car wash and an incredible roof top patio with BBQ and fireplace overlooking the Calgary city skyline! 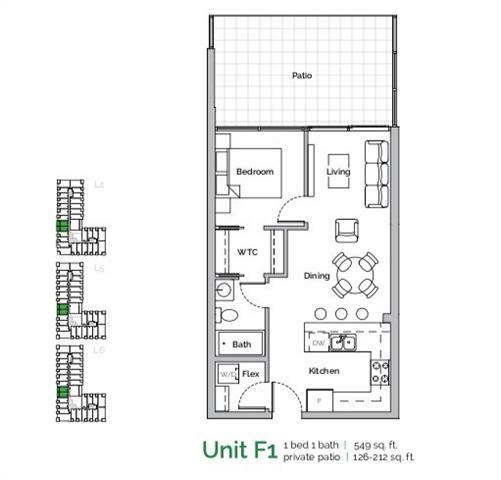 This F1 unit is complete with high end stainless appliances, quartz counter tops, espresso cabinets, laminate flooring, in-suite laundry and a patio that is twice the size of most in the building! 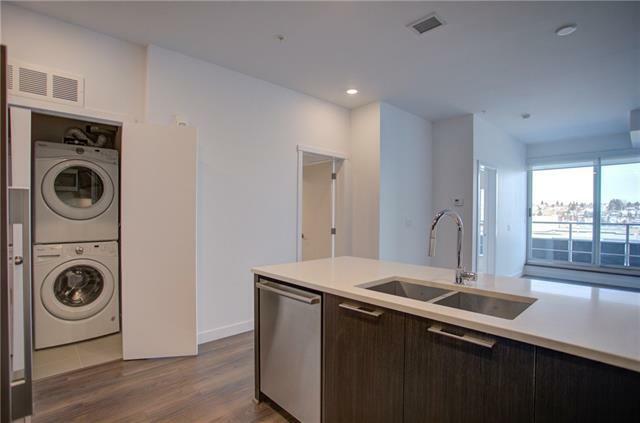 Truly an amazing opportunity to own one of the most sought after units in the complex. Immediate possession available! Builder size 549 sq ft measured to exterior walls. Sq footage listed is measured to interior walls.